Would love to win- thanks!! I just got my 2013 supply of Burt Bee Lip Balms (10 sticks) from the 50% off stocking stuffers section for 1.50 – 5% off using the Red Card debt card! I ♡ the bee’s of Burt! It would be awesome to win this! Thanks for all that you do! I would use every single thing, I love Burt’s Bees. awesome prize! Love burts bees!! AWESOME collection of Burt’s Bees products! The packaging is adorable & Thanks for having good give aways! Some of my favorite products! Thanks! I love Burts Bees products! How awesome of you to do such a great giveaway! Thank you for the chance definetly can use it! 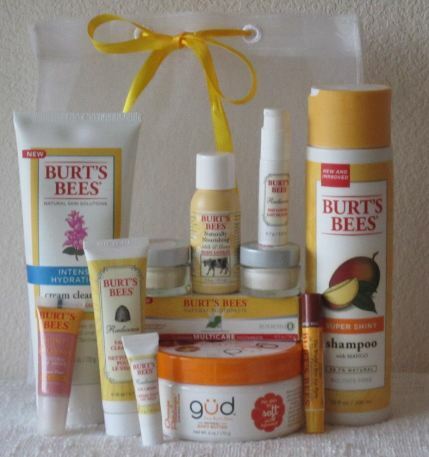 I would love to win the Burt’s Bees Prize Pack. Thanks for the opportunity. Merry Belated Christmas Totally Target Gal! I adore Burt’s Bees products! I’d love to win this! This is the BEST website!! Coupon shopping and give-aways?!!? Totally target has the best giveaways! OHHH, I love burts bee stuff! Just recently found your site and LOVE IT! Have never tried Burt’s Bees but have heard great things about it. Thanks for all the great offers and help you give everyday! I love Burt’s Bees! Thanks for the chance to win! I’ve never tried Burt’s Bees and would love the chance to! I would love to have this to make my chapped winter skin and lips feel better. I would love to win! Thanks!! Would Love to win! Burts Bees is Awesome! Thank you!! Would love to win! Love Burt’s bees!! Would love to win! What a great prize! I would love to win it!